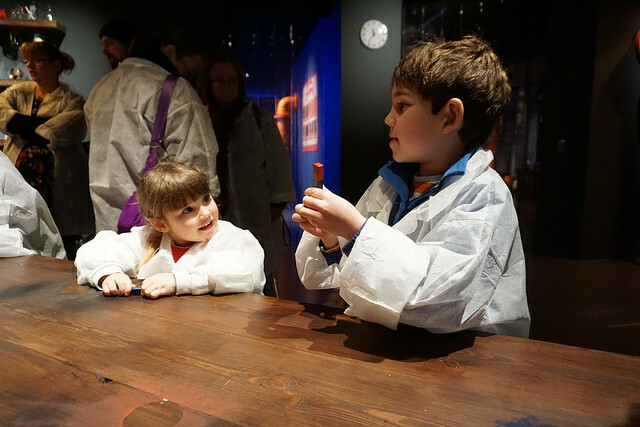 We’ve been a fan of the Historic Dockyard in Chatham since our first visit last Summer, so we were thrilled when the team there invited us back to experience their half term activities. 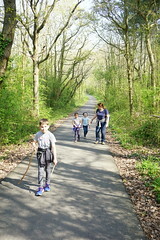 On Sunday morning, we piled into the car and headed down to Kent – just an hour from our South London home. 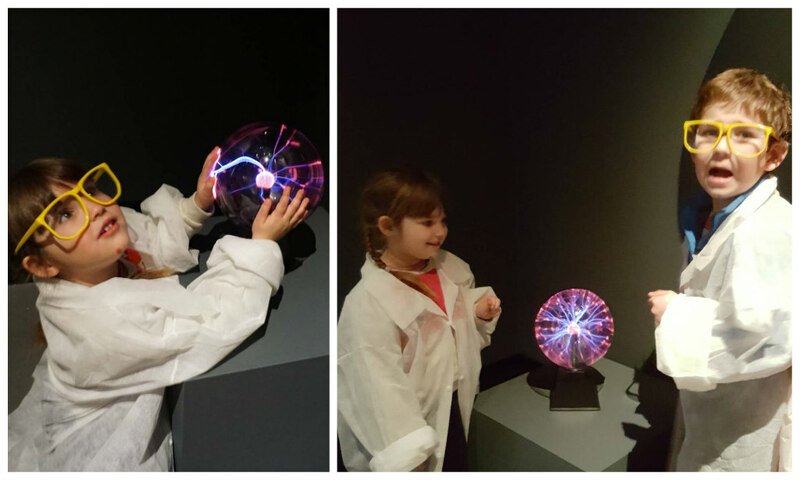 It was a pretty different day to our previous visit – bitterly cold and windy this time round – so we headed straight into No1 Smithery to check out ‘Doc Yard’s Secret Lab‘! 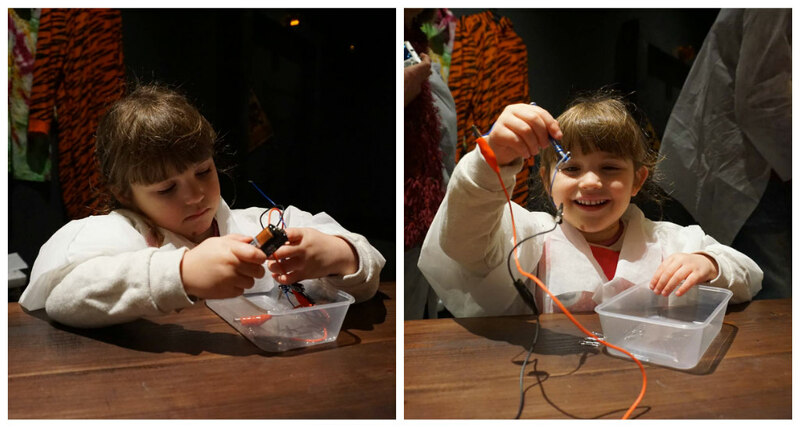 An 45-minute long, hands-on science experience, the Secret Lab was based around the theme of electricity. 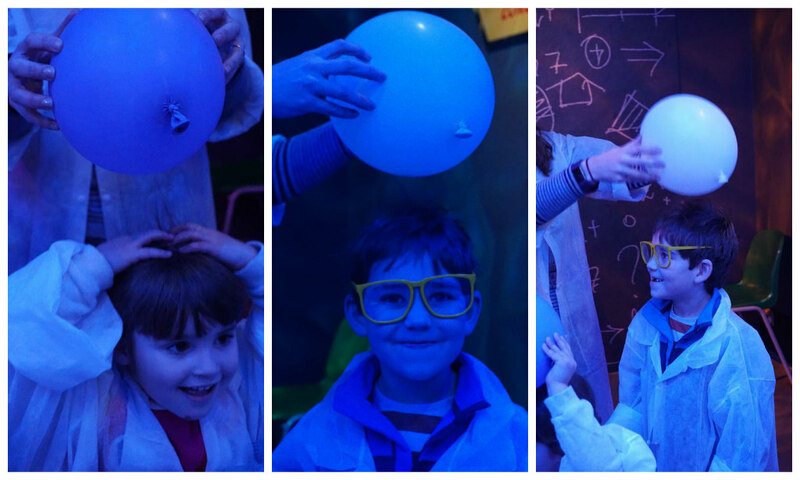 While we were waiting for Doc Yard, and his assistant Bunsen, we all donned white lab coats and safety glasses and started experimenting straight away – conducting electricity to light up tubes! 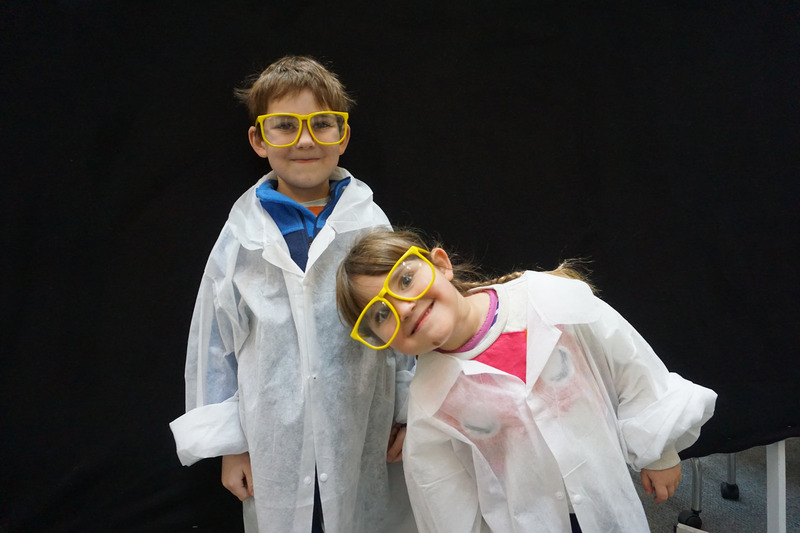 My mini scientists were so excited about entering the lab! 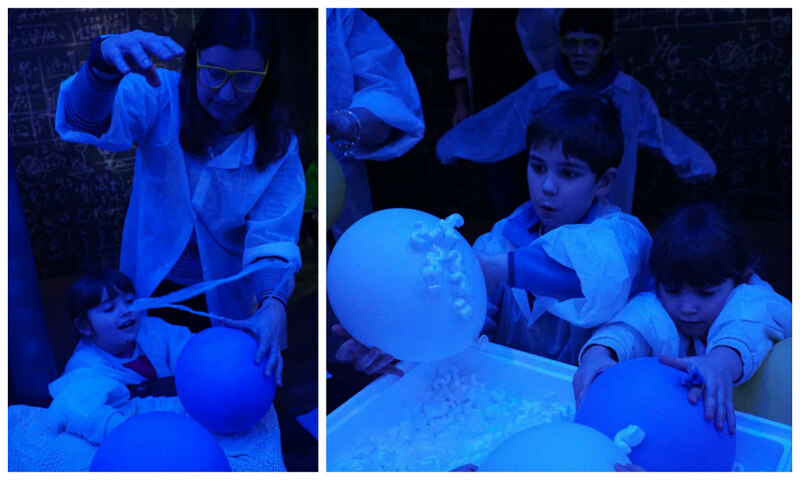 We started off in the static zone where we made our hair stand on end with balloons! And saw the effects of static repelling and attracting materials. 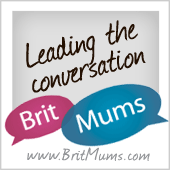 We were then ushered into the magnetic zone. 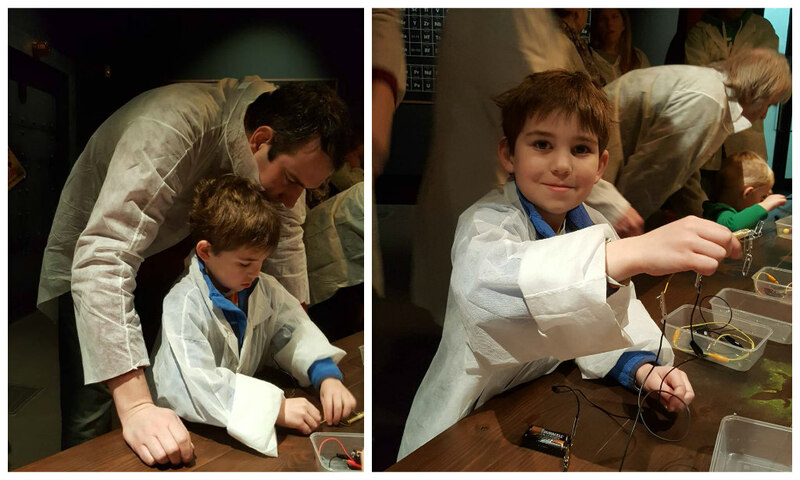 I was so impressed with the atmosphere of the lab – the low-light rooms were decorated with geeky gadgets and gizmos with such attention to detail. 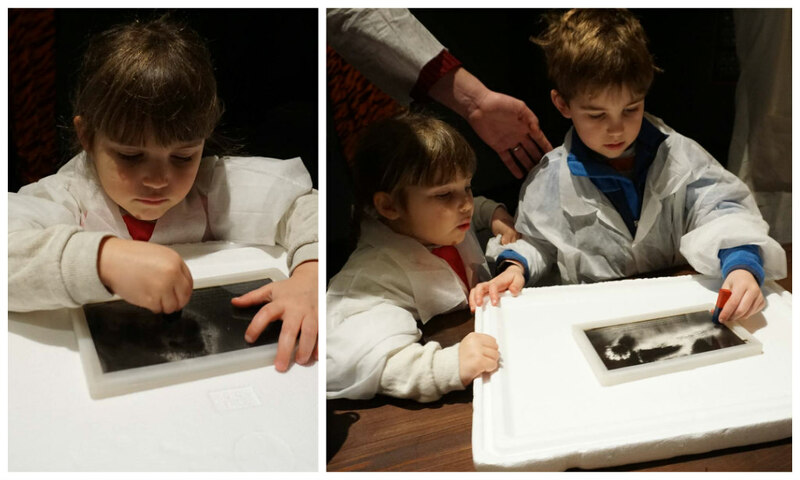 Alex and Sophie loved being able to touch everything and get stuck into mini experiments. 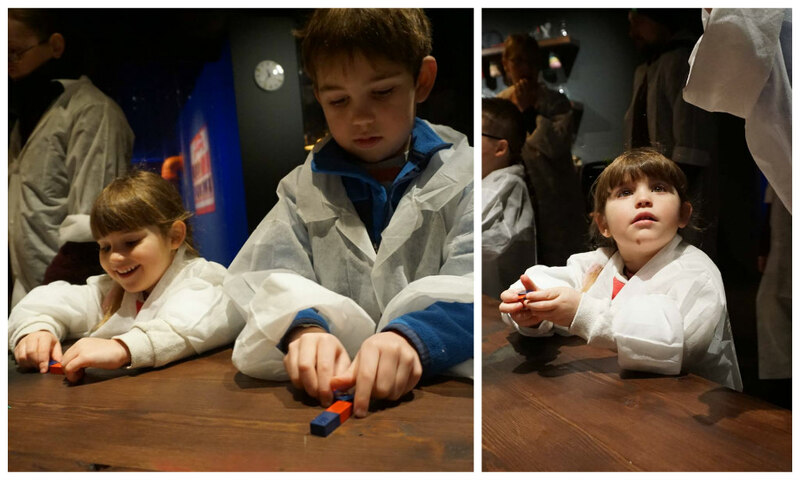 Here they are playing with magnets. And successfully making circuits to create an electro-magnet, which they tested on some paperclips. And, best of all, using magnets to make patterns in iron filings. 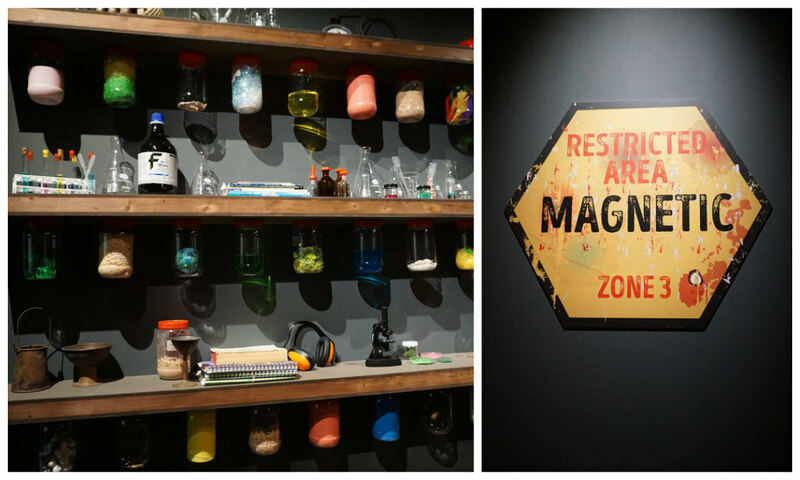 As if the magnets weren’t fun enough, we then moved into the final area of the Secret Lab – the Hair raising zone! Here, another scientist created lightening bolts for us. 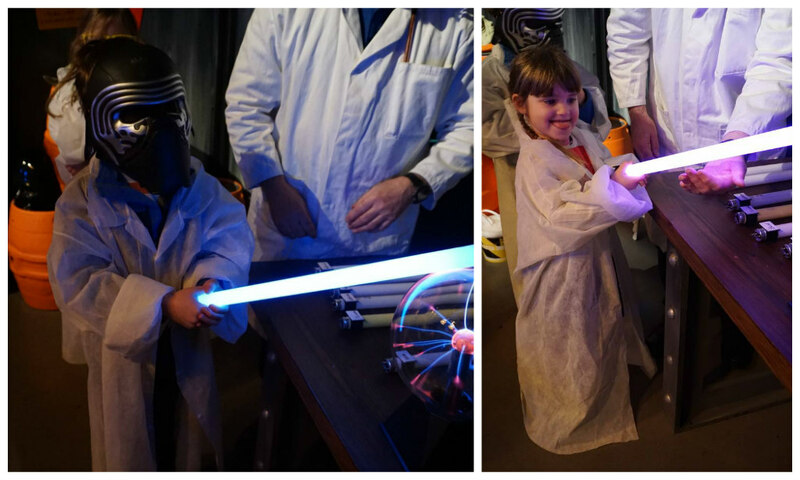 An electricity show wouldn’t be complete without a plasma ball! 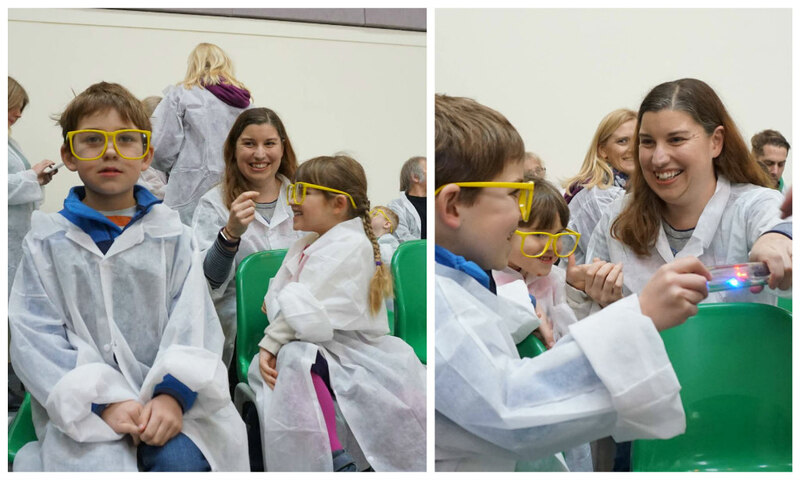 Secret Lab was great fun – for us and the children! 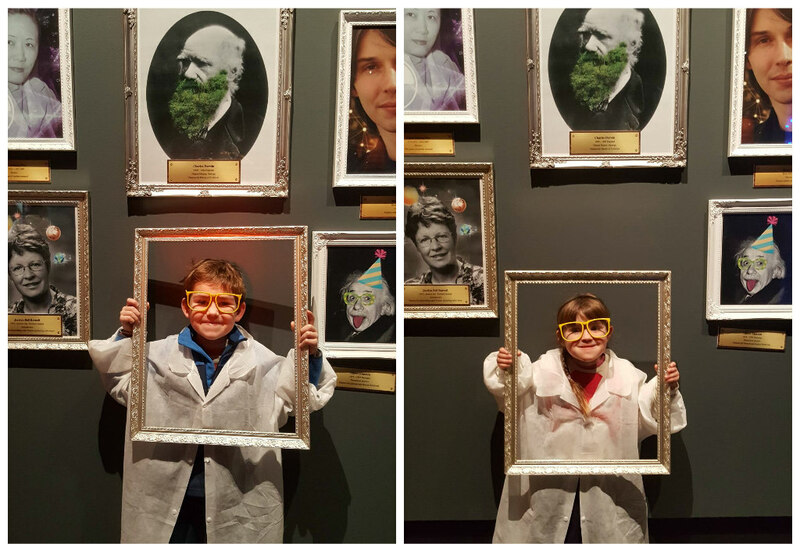 They definitely earned their place in the gallery of great scientists! After all that brain activity, we were all pretty hungry. I was keen to try out the new Mess Deck restaurant, but Alex remembered the softplay, so we headed instead to Wagon Stop Canteen for delicious Kentish pies and doorstep sandwiches. 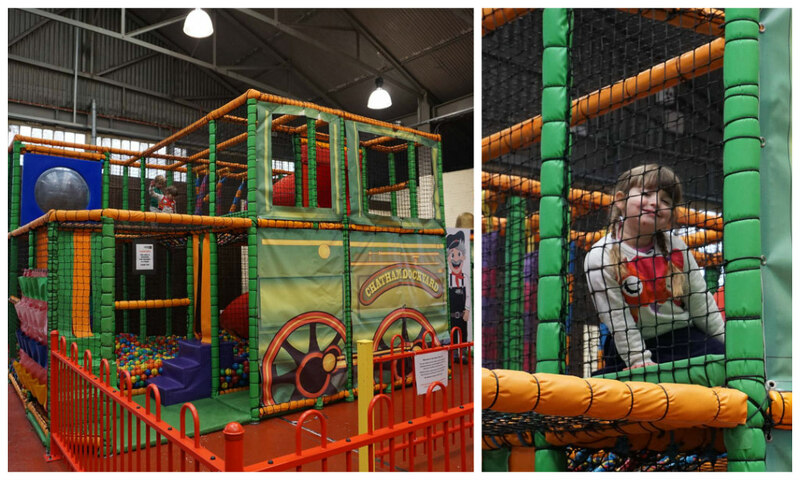 And, of course, the children let off some steam in the fun play area. 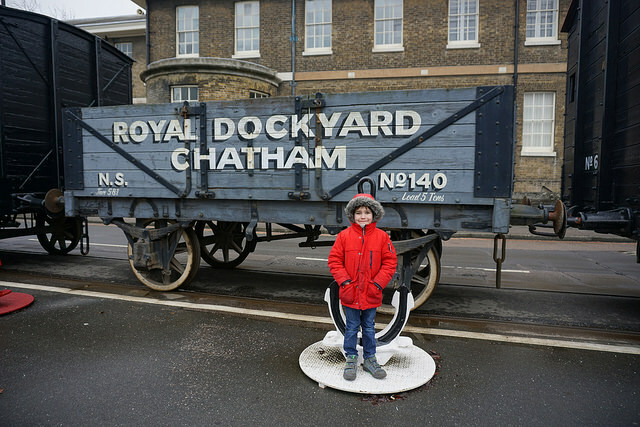 After lunch, we braved the chill to explore more of the Dockyard. 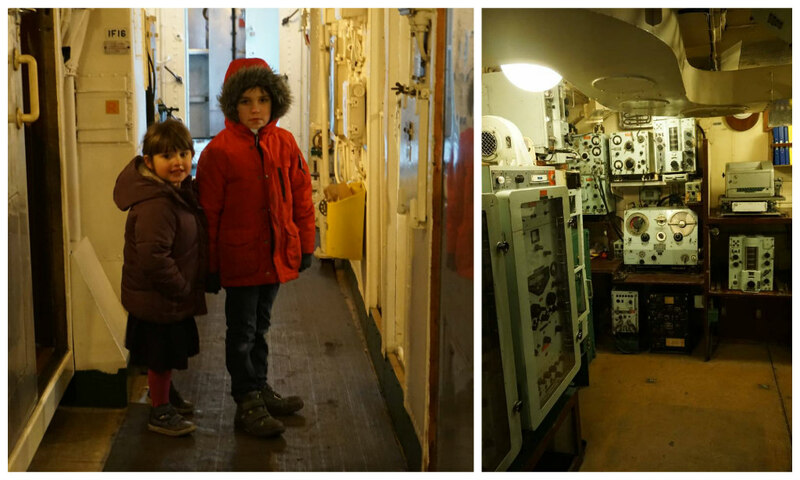 Last Summer, we’d loved our visit to HM Submarine Ocelot, the Cold War sub in the heart of the dockyard, so we booked another 30 minute tour after lunch. 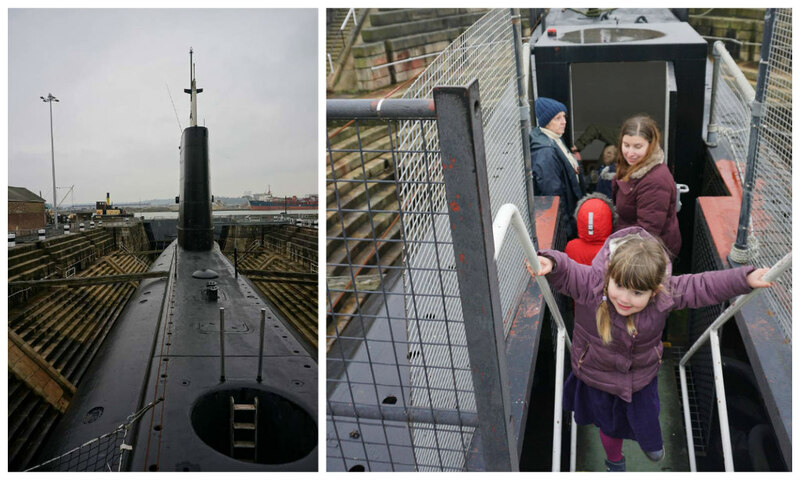 A fantastic guide led us down the steep steps into the sub, and really brought it to life with tales of life on board. 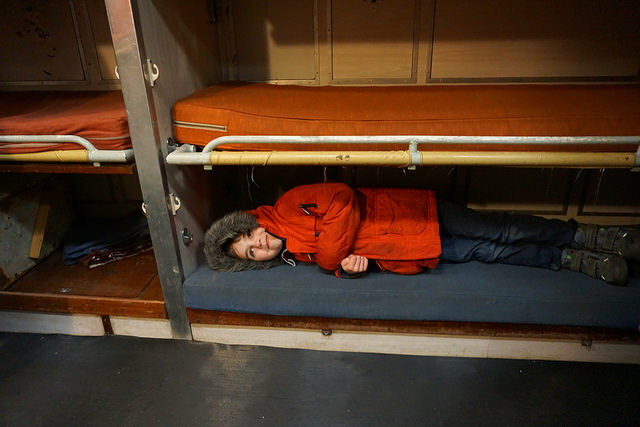 The children loved clambering through the hatches and trying out the cramped bunks. I can’t imagine how tough conditions must’ve been. 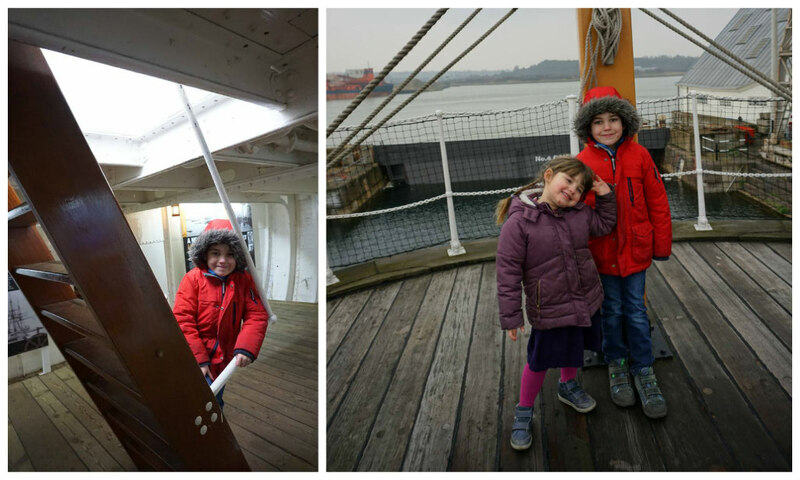 We then explored HMS Gannet, a Victorian sloop. 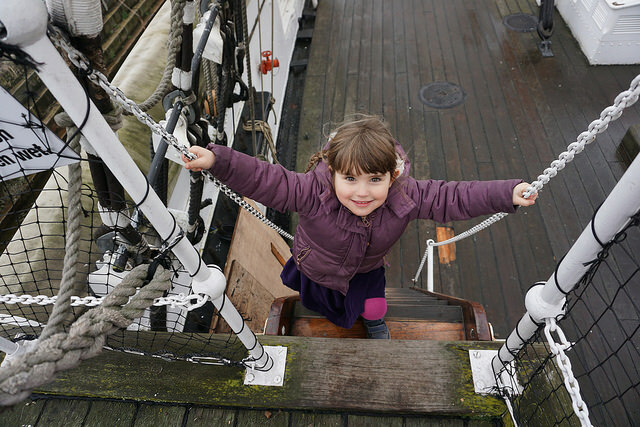 Alex was so thrilled to be on a real live pirate ship (! ), he dabbed for joy! 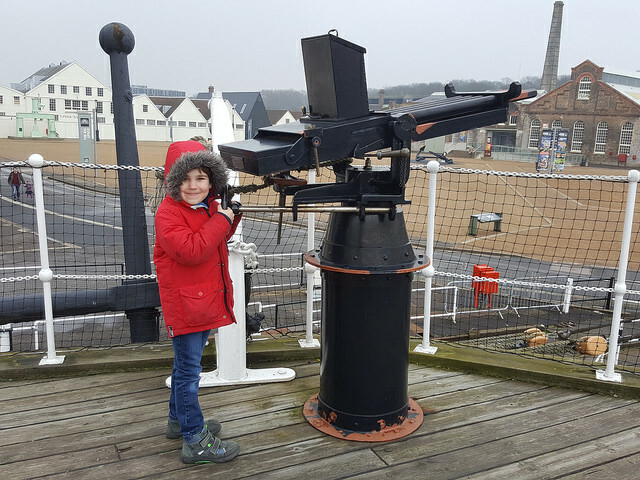 We also did a quick trip around HMS Cavalier – a Royal Navy Destroyer – although the cold was getting a bit much so we had to bribe the children with the promise of hot chocolate to persuade them to keep moving! We ended our visit in the Mess Deck enjoying a cream tea and hot chocolates to warm up – a wonderful end to another fun visit. 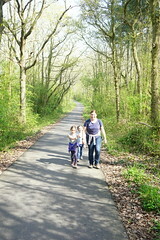 We still have loads more to see, so I know we’ll be back again this year. 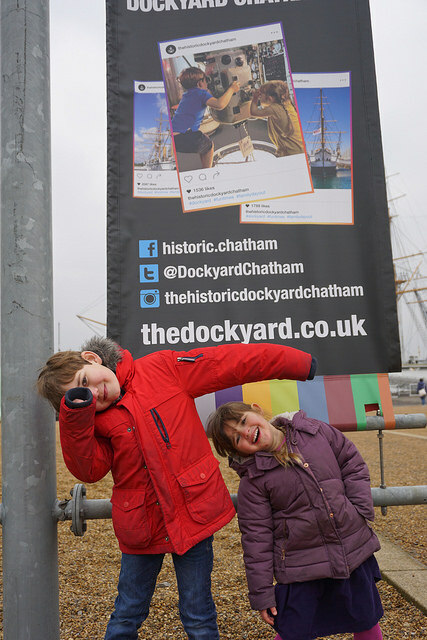 Here are my crazy pair, absolutely thrilled to find themselves featuring on the Dockyard banners in a photograph I took on HM Submarine Ocelot last year! They are convinced they are now super famous! 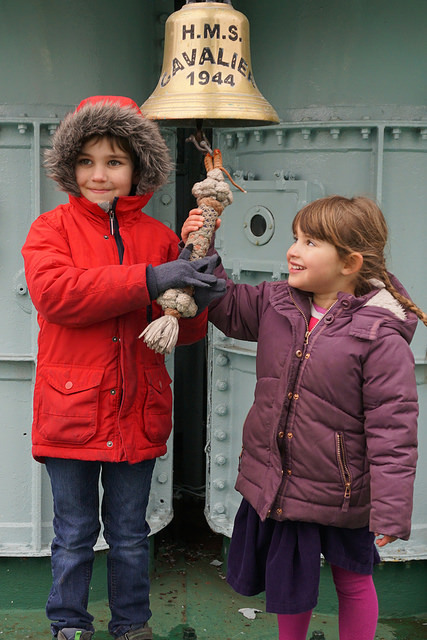 The Historic Dockyard Chatham is a wonderful place for a family day out – and with tickets valid for 12 months, you can come back several times to have a chance of actually seeing everything on display! 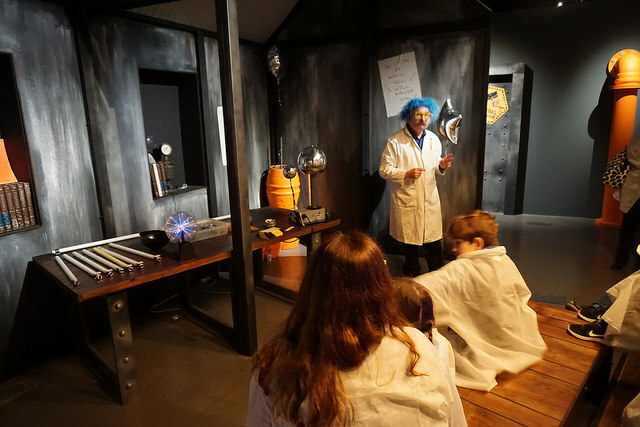 The Secret Lab is running during February Half Term, Easter Holidays and weekends from Saturday 11th Feb – Monday 1st May. 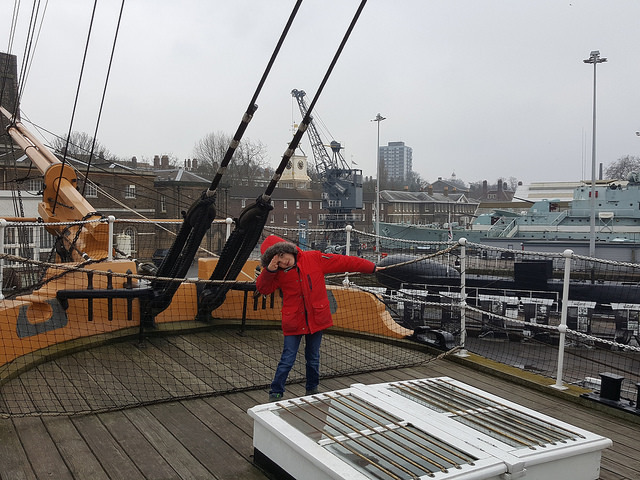 Thank you to the Historic Dockyard Chatham for inviting us to visit and providing our tickets for the day. All views are our own.